In my recent white paper series, the first part of which is entitled, “Top Cybersecurity Concerns for Every Board of Directors: Cybersecurity Governance,” I outline a strategic framework for boards of directors to effectively analyze and supervise corporate cybersecurity risks. Each of these white papers is being published exclusively on Nasdaq’s Governance Clearinghouse. In my recent article, entitled, “Hidden Lessons from Anthony Weiner’s Laptop (Computer),” I present some critical and practical legal lessons related to the delicate, complex and tricky issues relating to the government’s seeking, requesting, demanding, subpoenaing and seizing of digital evidence in a criminal or civil investigation. In my recent articles, entitled, “Cybersecurity Personnel: Recruiting the New Fighter Pilots” and “Timeless HR Lessons From Five Great Watch Companies”, I present some critical and practical HR lessons for handling the current cybersecurity labor shortage as well as some general HR lessons, which serve as a powerful refresher for all corporate executives. 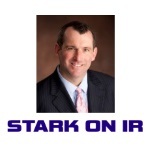 In my recent article, entitled, Cyber Insurance Bespoke: Tips For Finding The Right Policy and excerpted from a series of articles I wrote at the request of the NASDAQ Governance Clearinghouse, I review some critical caveats and guidelines to consider when purchasing cyber insurance. C-Suite executives can learn some critical lessons about cybersecurity from Secretary Hillary Clinton’s email server fiasco — and not just about the perils of operating a private company server in a Chappaqua, New York suburban basement. In today’s post, I undertake an in-depth analysis of the key takeaways from the Hillary Clinton email server morass and glean some vital lessons for the C-Suite. The SEC is at it again, trying to expand their regulatory authority into prosecutorial authority. While I admire their doggedness and chutzpah, I respectfully disagree. The SEC’s recent enforcement action against Morgan Stanley for cybersecurity-related violations is the largest and most important SEC cybersecurity regulatory action to date. My comprehensive article discusses key takeaways. 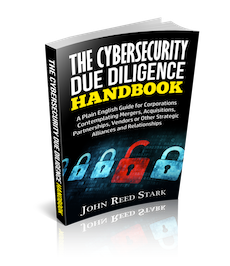 Cybersecurity Due Diligence will dominate future corporate undertakings. My new Amazon eBook is a plain English guide for corporations contemplating mergers, acquisitions, partnerships, vendors or other strategic alliances and relationships. Cybersecurity due diligence has become the new business imperative. Whether considering a new alliance, acquisition or vendor, one notion is for certain: any cybersecurity weakness of a new partner will quickly and perhaps permanently infect whatever benefits the new business relationship brings on board. Vanguard is in the cybersecurity news again — and making the same mistakes. Why the recently-enacted Cybersecurity Information Sharing Act is one of the more important (and sometimes heralded) cybersecurity regulatory initiatives. What’s most important is often the response to a mishap rather than the mishap itself. 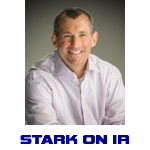 Posted in Stark on IR, Top | Tagged Incid. Resp.